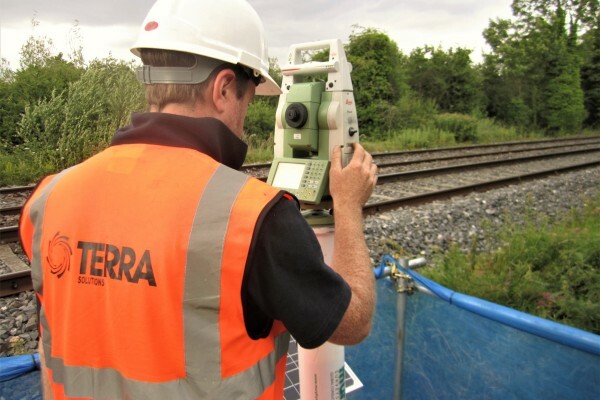 Leixlip is a small town situated a few miles west of the nation’s capital, Dublin. 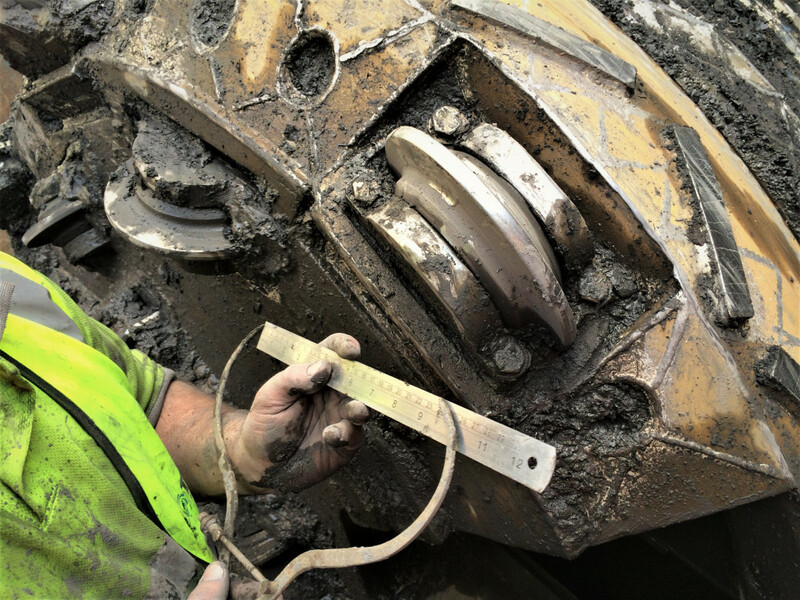 Historically a frontier town, with a confluence of two major waterways, as well as being on historic county boundaries the town has grown now to have a population of just over 15,000. This makes it the fourth largest town in its home county of Kildare. 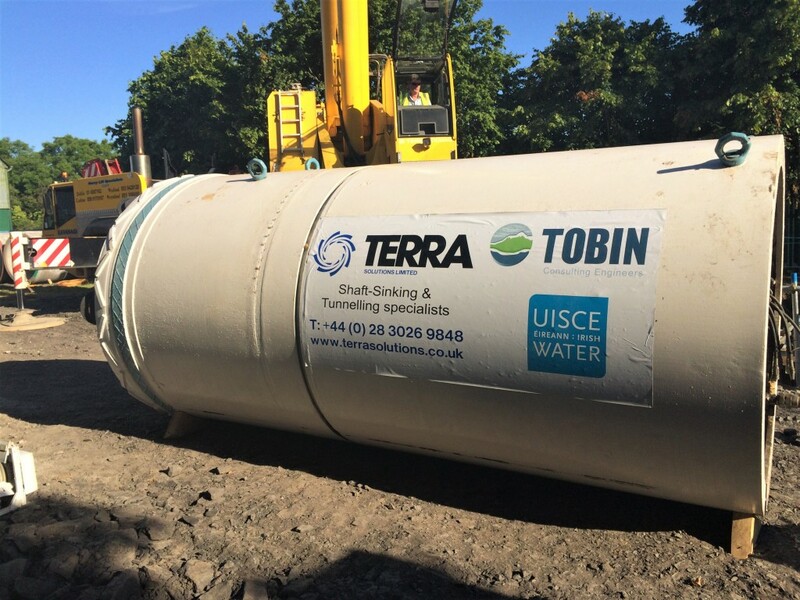 As such, when Kildare County Council began to upgrade the sewerage system to guarantee the security of the existing water requirements- as well as preparing for potentially increased future water demand- they needed expert trenchless contractors who would cause minimal community and environmental disruption. 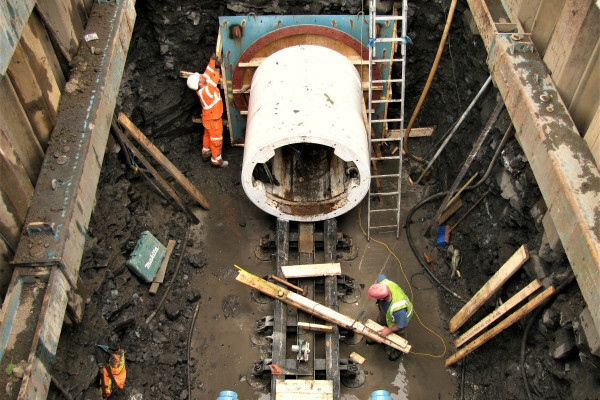 Complicating this job were the presence of the Royal Canal, the environmentally protected Salmonoid Rye River, the Dublin to Maynooth railway route and an underground high pressure gas main. 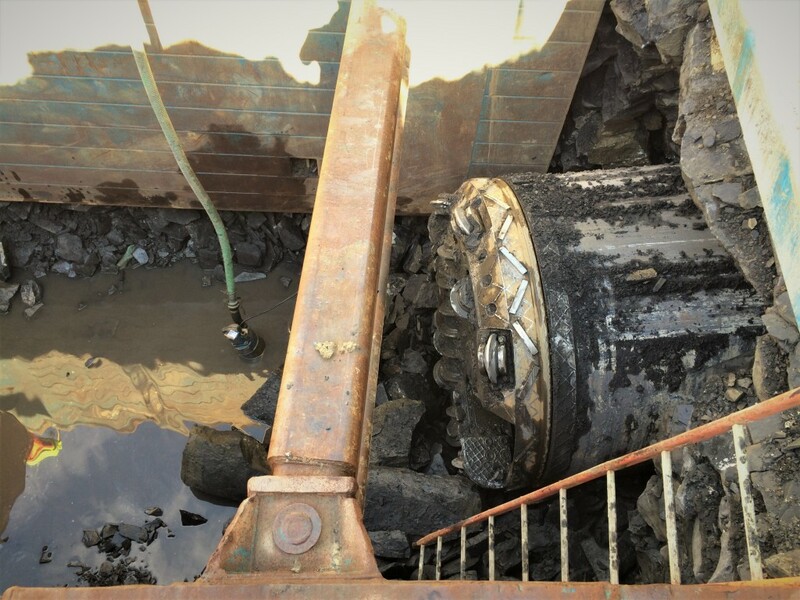 There was also a 3ton weight limit on several of the approach roads, making careful planning a necessity. The rural setting meant that there were trees and hedges that needed to be preserved present at site too. 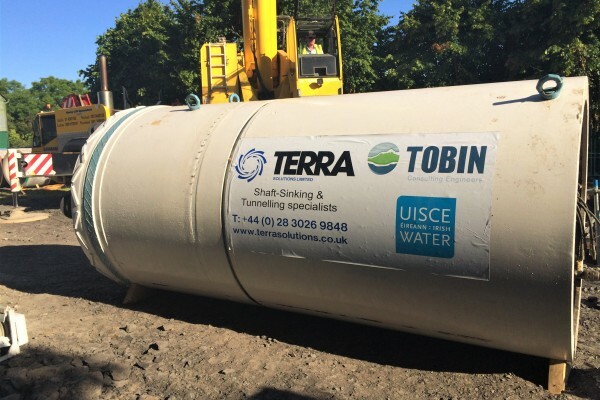 This project was awarded to Terra Solutions as main contractor for both the open cut and trenchless installations and were tasked to tunnel over 100m from launch shaft to reception shaft at a diameter of 1500mm, crossing under the rail tracks and the Royal Canal at a depth of 8m. 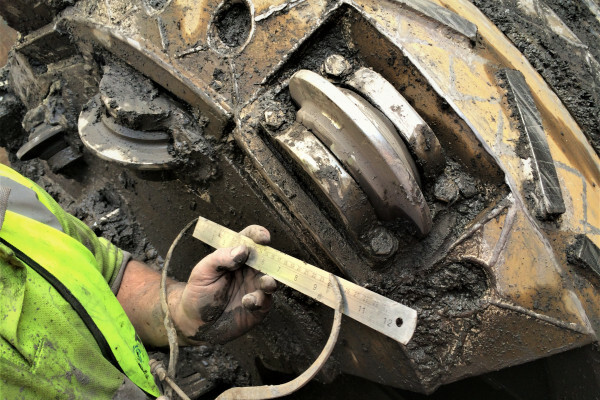 Information taken from boreholes indicated the ground conditions would maintain a constant tunnel horizon of strong limestone rock, which was classified as strong to very strong. 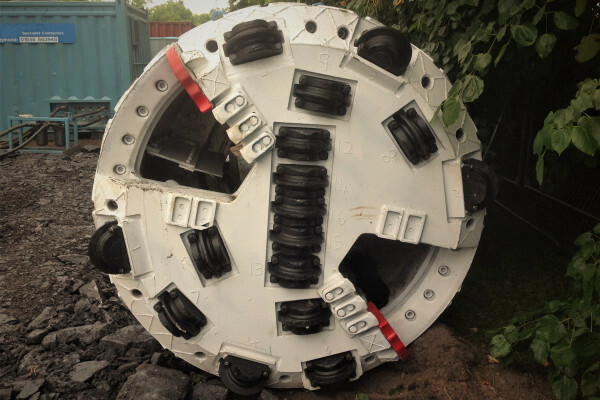 Terra Solutions determined that a 1500mmø Earth Pressure Balance Tunnel Boring Machine was required to provide the rotational torque and jacking forces necessary to get through the rock, this meant the 900mmø pipework depicted in the specimen design needed to be upsized to 1500mmø. 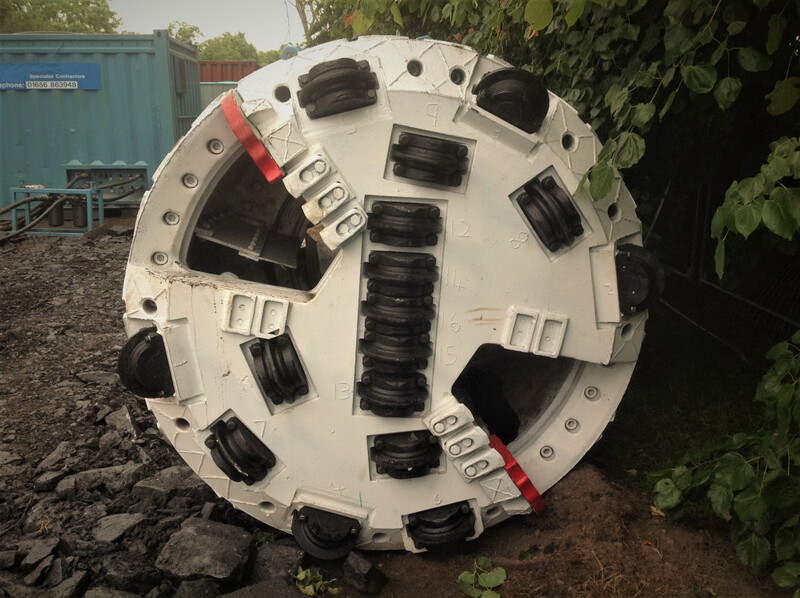 The TBM (tunnel boring machine) at work. 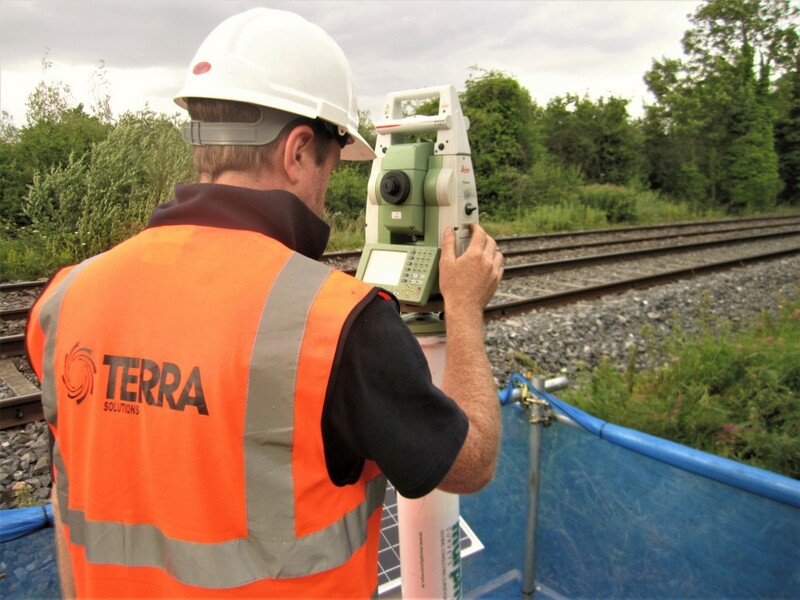 Terra were also required to install 3nr 1200mm pipejacks of drive lengths greater than 120m to navigate around the local sports grounds. The ground conditions for these pipejacks indicated that it would comprise stiff slightly sandy gravelly clay with cobbles & possible boulders. 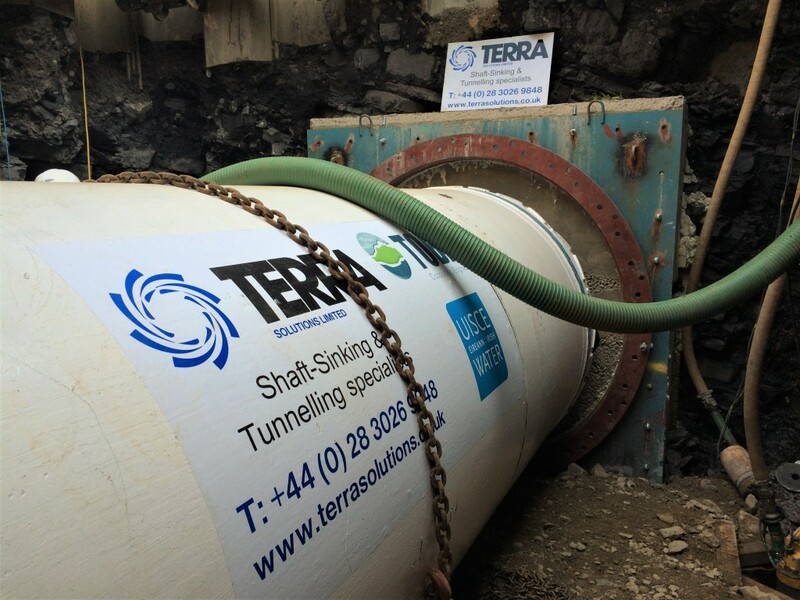 Terra Solutions used a mechanical backhoe shield and a rock tunnel boring machine to install all the 1200mmø pipework. 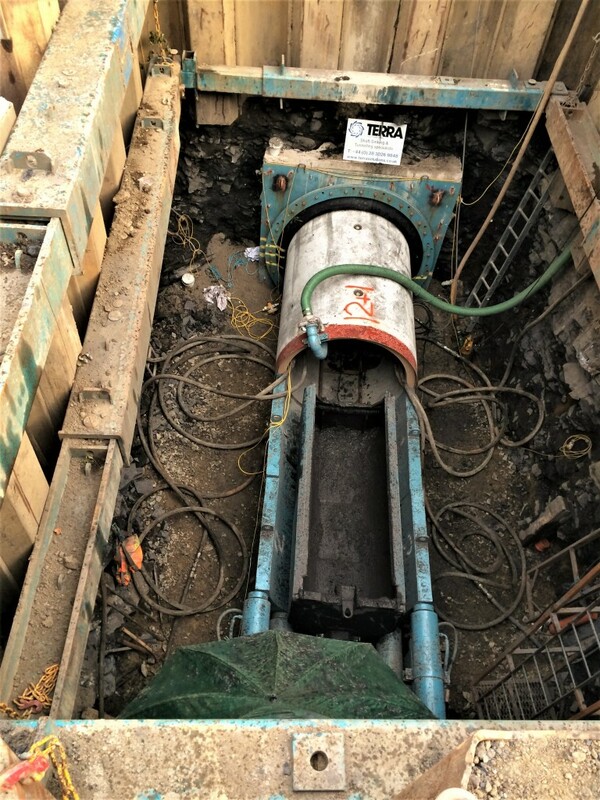 The use of mechanical excavation and rock boring equipment avoids issues such as Hand Arm Vibration Syndrome, excessive exposure to noise, heat exhaustion and whole body vibration. 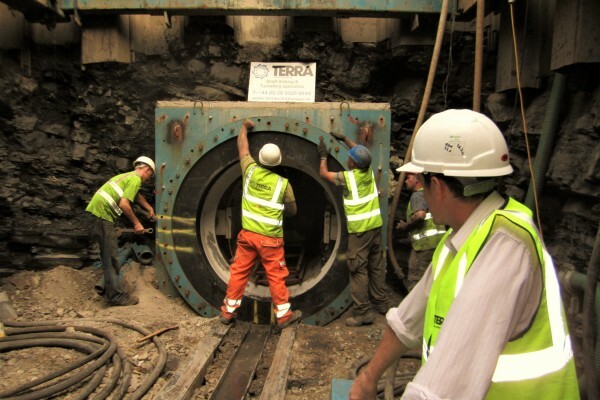 Preventing these kinds of health & safety issues is mandatory requirement in the UK and Republic of Ireland. 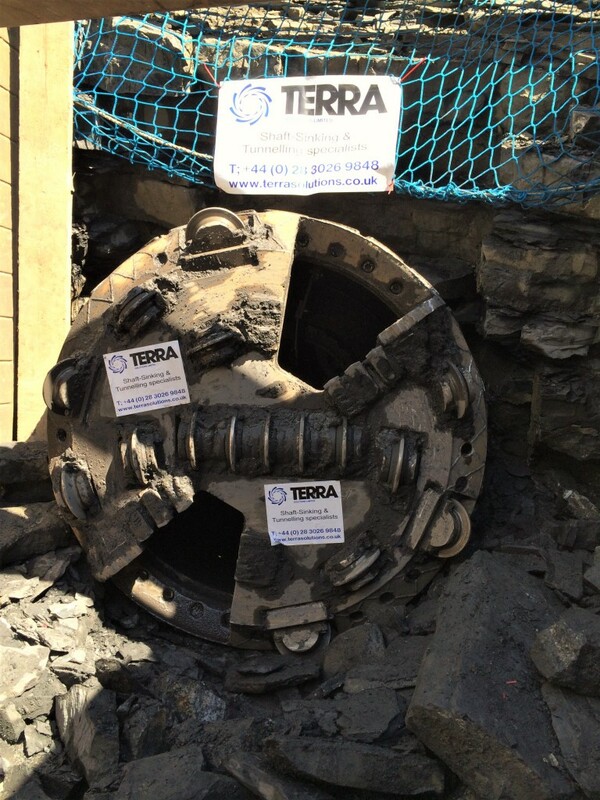 Using these two types of techniques provided a high level of productivity whilst enabling access to breakout any large boulders or obstructions which were envisaged from the site investigation, therefore ensuring 3nr successful installs. 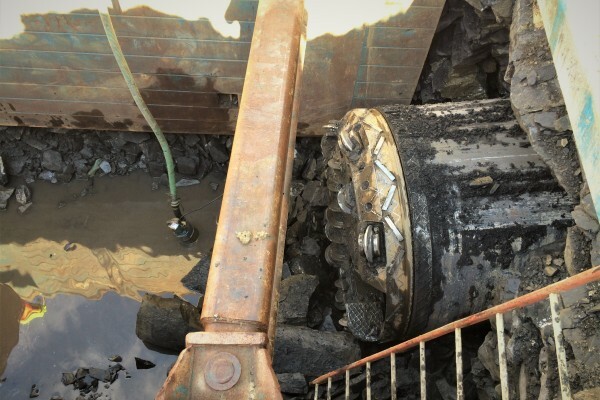 All tunnelling operations were launched and received from variously sized sheet piled cofferdams to suit the equipment dimensions and temporary works such as thrust walls. 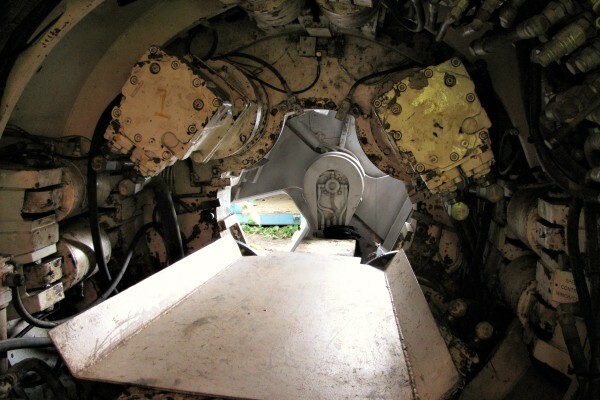 These pits were later used to construct permanent works manholes and make connections to the open cut pipe runs. 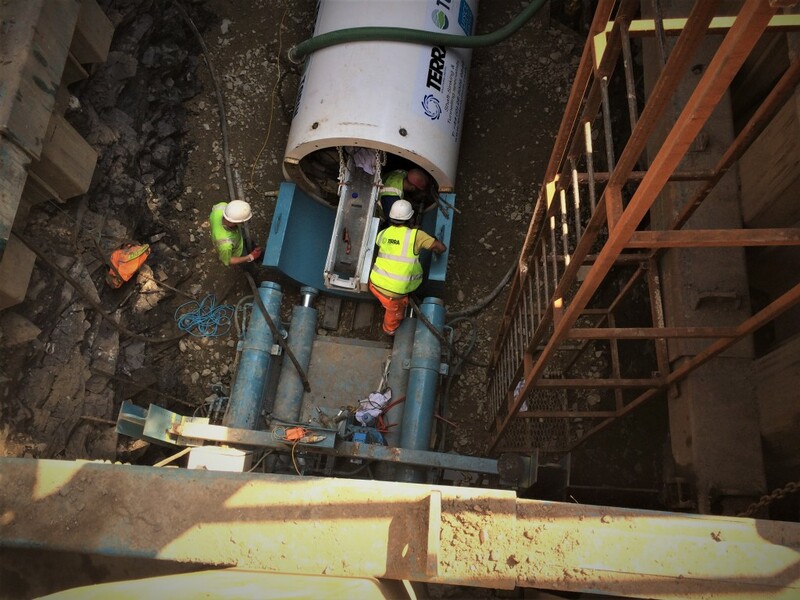 The final part of the North Leixlip Sewerage Scheme was to install- through the use of horizontal directional drilling- a pipe with a diameter of 450mm at a depth of 4-5m. 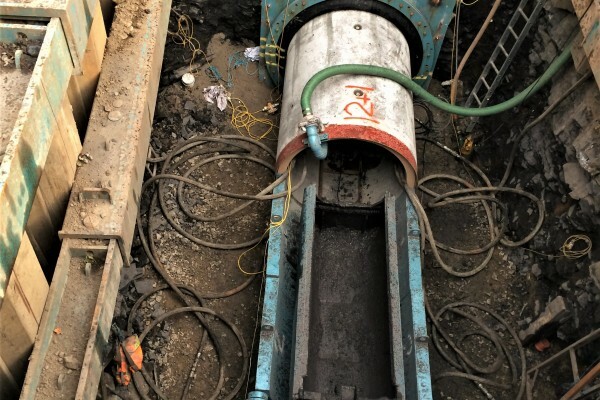 This pipe was to travel under the Rye River into Intel owned lands and connect into the factory waste water infrastructure. 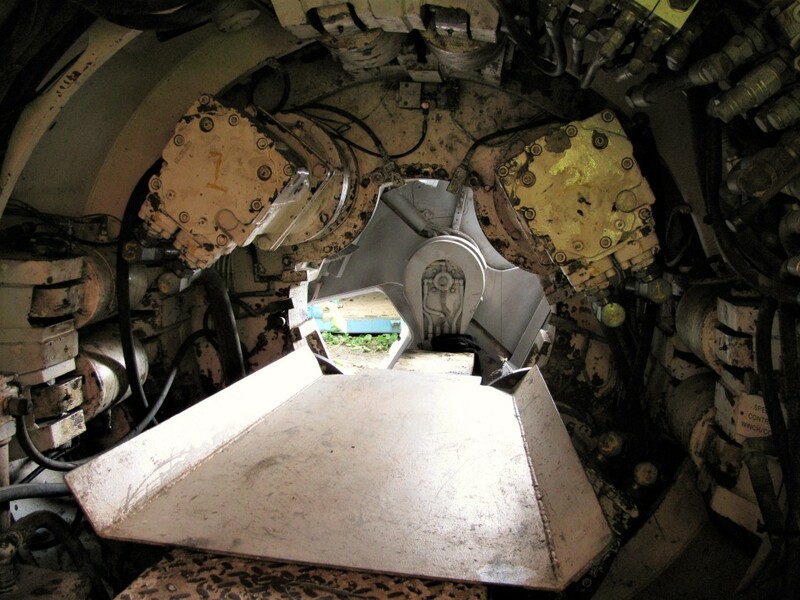 The topography indicated there would likely be adverse ground conditions present, possible dark grey Limestone or shale. 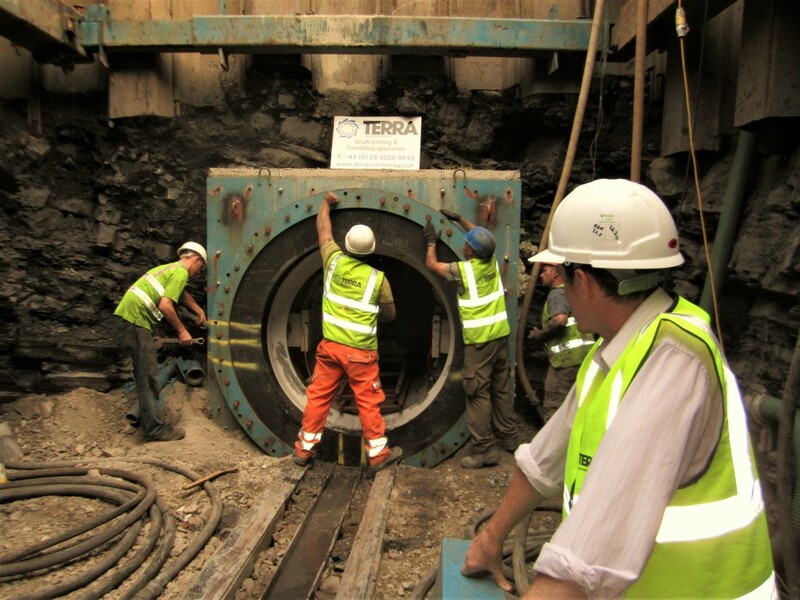 The Rye River was Salmonoid which required specialist ecological supervision during drilling operations to ensure the river was not adversely affected. 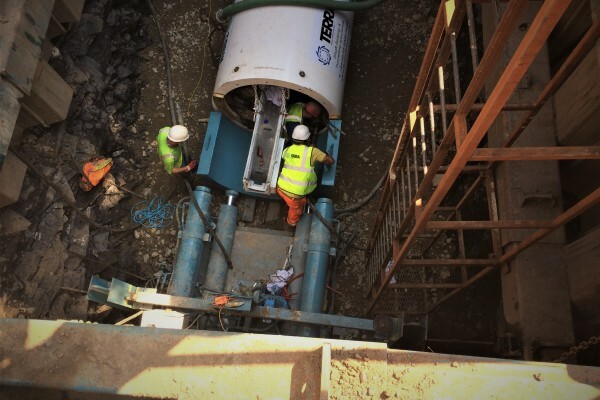 Given the proximity to several waterways, both major and minor, Terra Solutions used an environmentally friendly bentonite ‘Clearbore’ to minimise any impact from this installation. 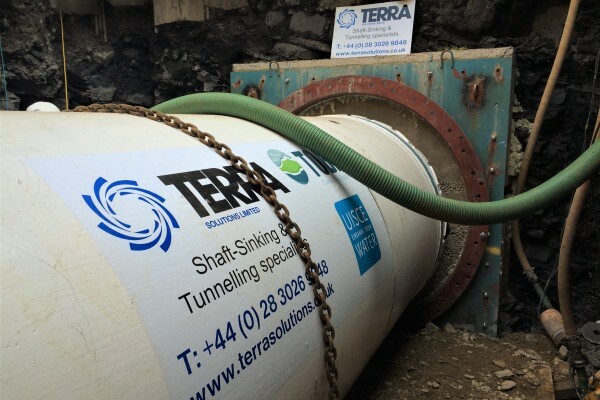 This contract, Terra were also engaged to complete an open cut section, laying a total of 4.4km of pipe at a range of diameters (450mm-1500mm). 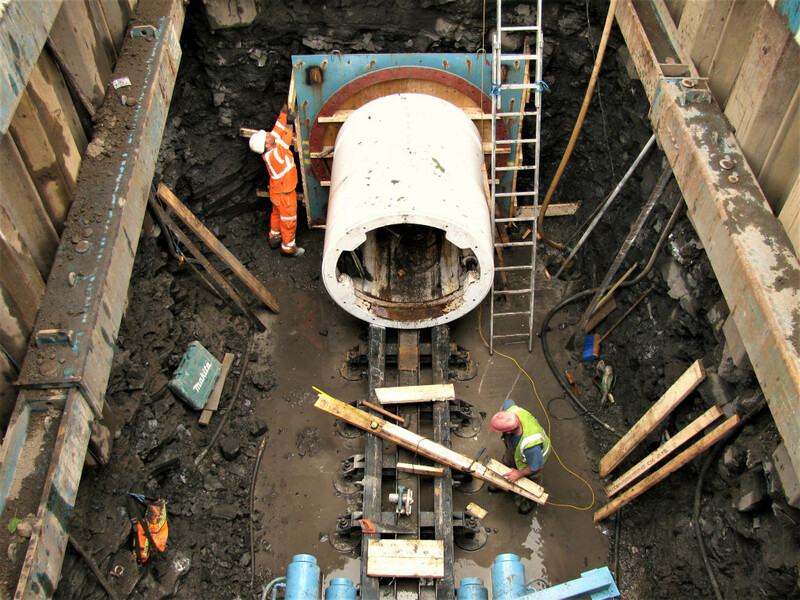 These pipes were made from a range of materials, including: concrete, high-density polyethylene and ductile iron. 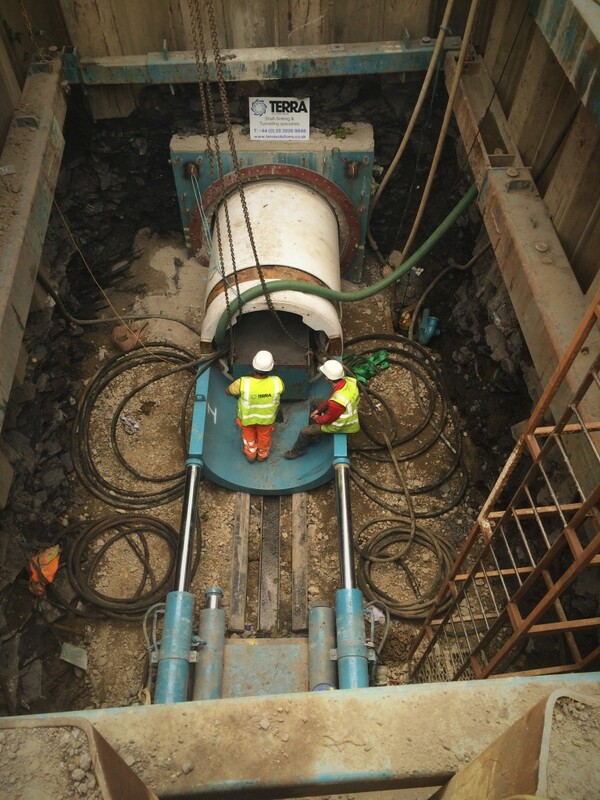 Terra also ensured that this new pipework was successfully integrated into the existing waste water network by making all the necessary connections to manholes. 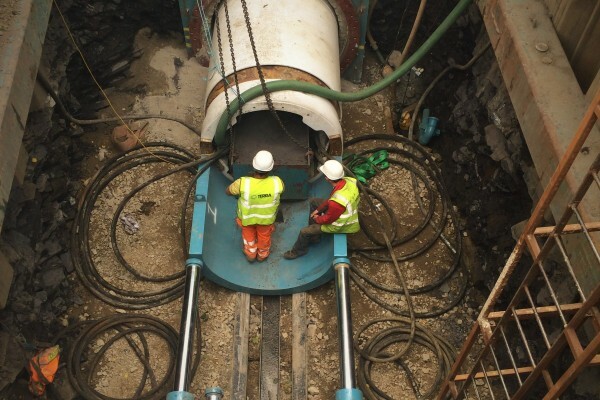 The contract for the North Leixlip Sewerage Scheme was completed successfully, given the many challenges presented. 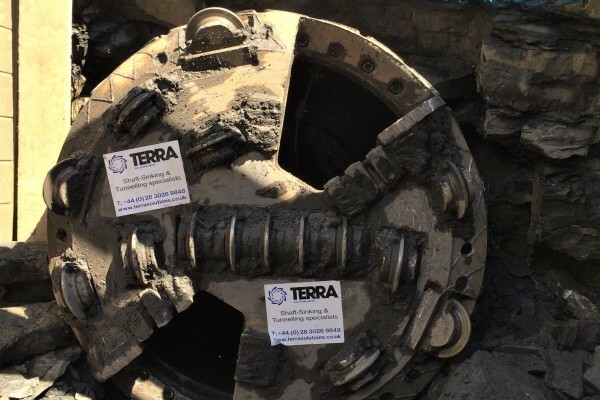 Terra Solutions’ reputation as Trenchless experts was upheld and there was an extremely minimal amount of disruption caused to any of the surrounding infrastructure or environment.